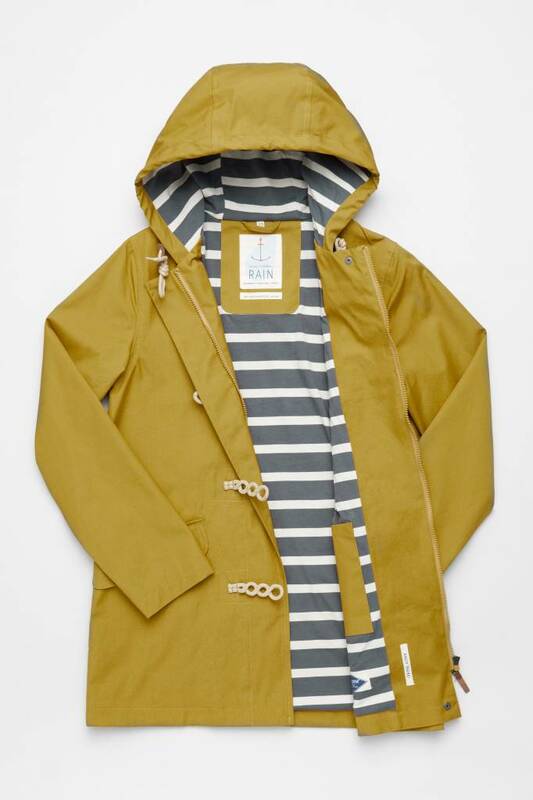 The Seasalt Long Seafolly Coat is inspired by traditional fishermen's macs with classic nautical styling. 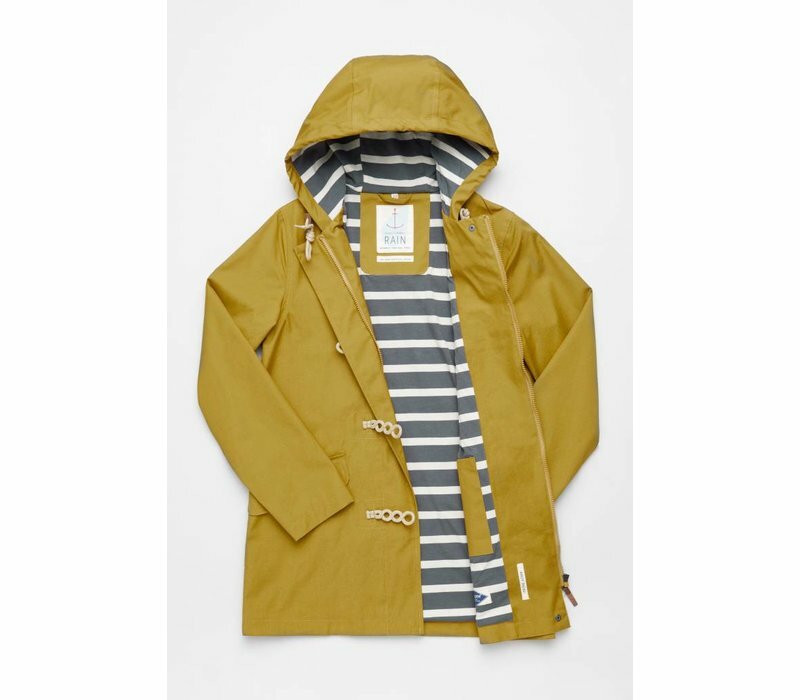 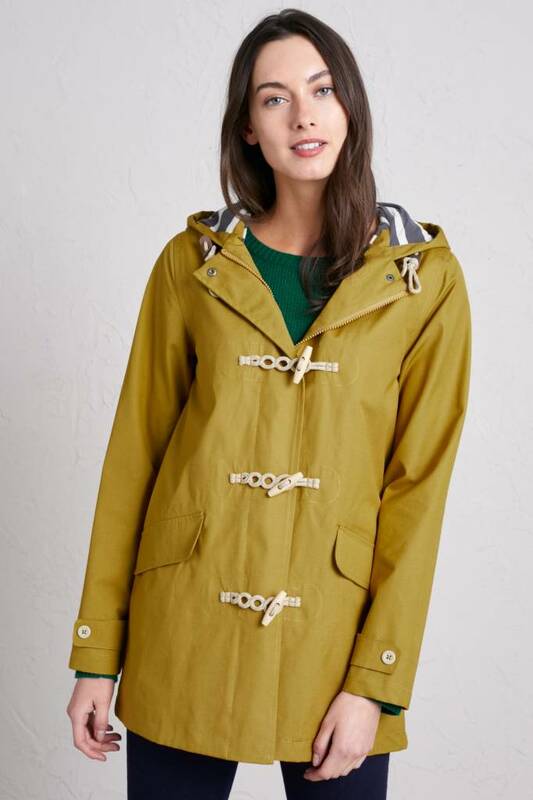 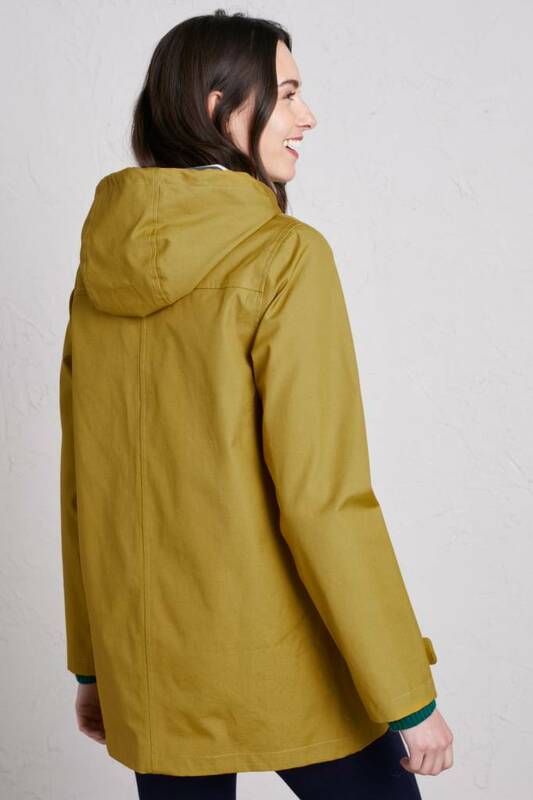 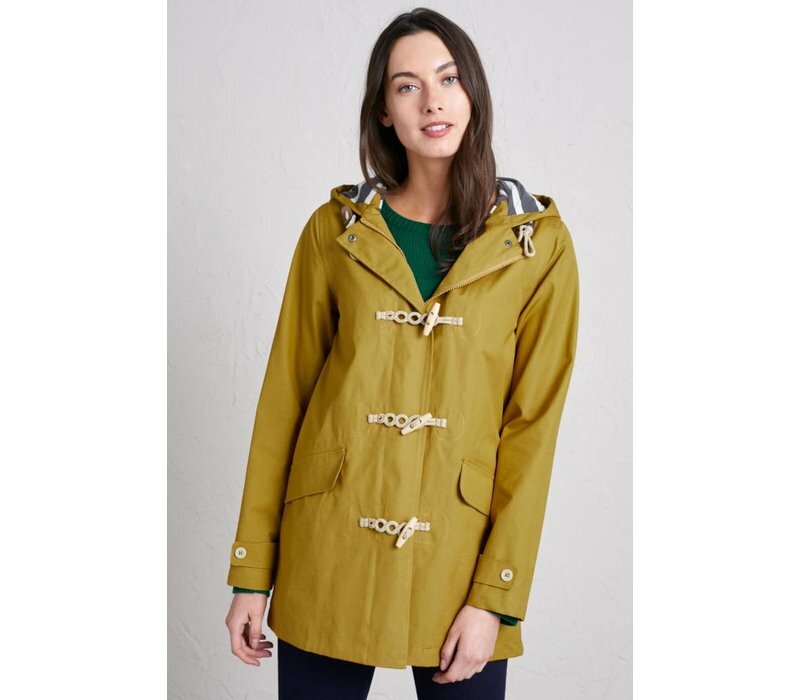 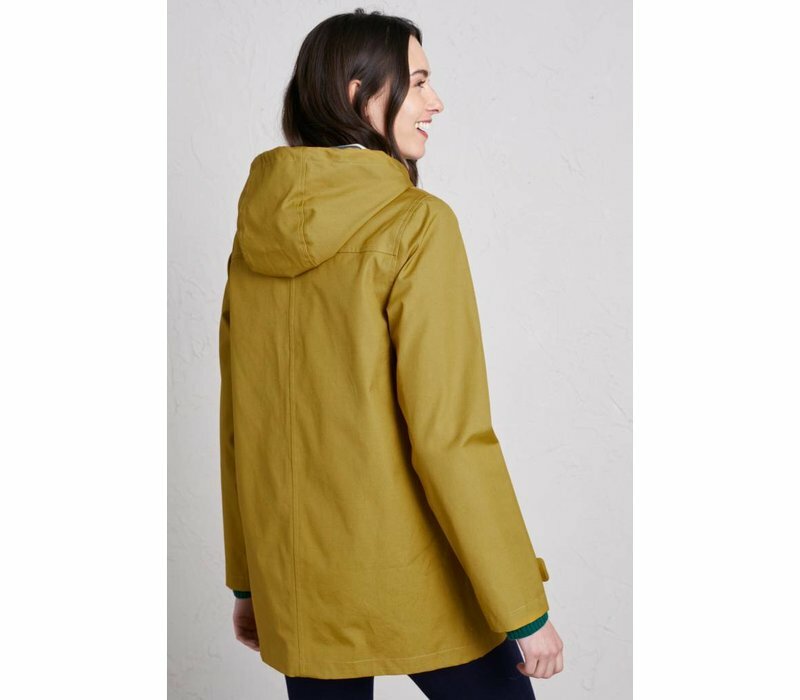 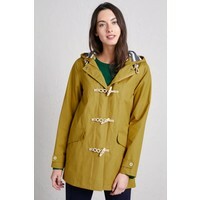 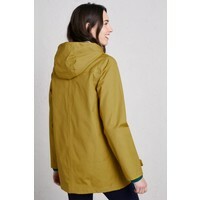 This mid-thigh length raincoat has taped seams, deep pockets, a generous hood and toggle and rope fastenings. 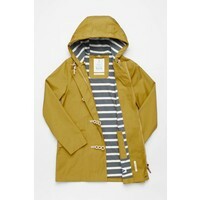 It features a Seasalt Breton stripe lining in soft cotton jersey. 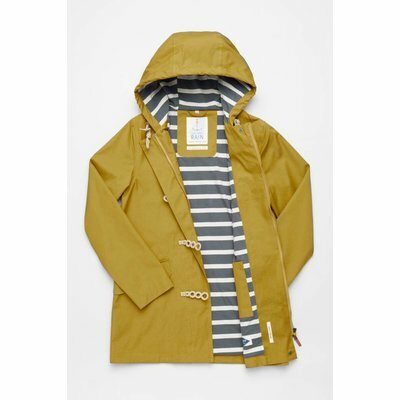 Made from hardwearing organic cotton canvas with a hi-tech waterproofing treatment.